At this time of year I usually invest in a pair of Uggs which fall apart approximately 12 months later having been exposed to snow and rain. So this year I decided I needed some winter boots which were actually going to see me through the winter, particularly for my trip to Norway. I’m a huge fan of boutique Mania Mia, based in London’s Fulham, because they stock chic contemporary women’s fashion and accessories from independent designers around the world (they also host regular designer sales); and they stock brands which can’t be found anywhere else in the UK. 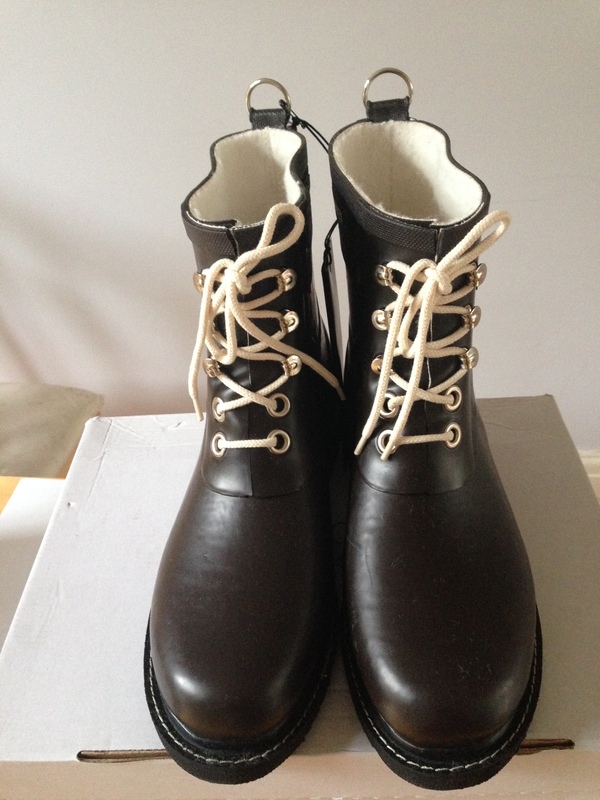 Which is how I found these fantastic chocolate brown waterproof winter boots by Danish designer Ilse Jacobsen, from her Rub&Rain collection. Aren’t they gorgeous? They’re handmade from rubber (and cruelty-free, bonus). Not only are they lined but they’re completely waterproof and they come in a range of colours. Ilse is inspired by the natural and raw beauty of her surroundings and these are definitely beautiful, and useful too. They cost £95, so cheaper than Uggs, and they’ll go the distance as well. I big fluffy heart them.